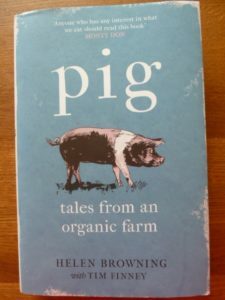 On Monday April 15th at 7.30, Burgage Hall, you can hear Helen Browning and her partner Tim Finney, previously editor of BBC Radio 4’s Farming and Environment programme, talking about their book “Pig”. 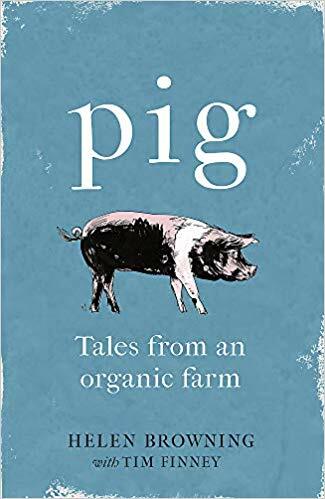 It’s an extraordinary account of 6 months “up close and personal” with a group of sows and their piglets. It’s delightful to get an inside view of these mischievous, competitive, intelligent characters. As you delve into the story, you discover that Eastbrook Farm has not only pigs, but arable land and a dairy herd. Farming organically is formidable task, not for the feint-hearted. The hard graft involved in good husbandry is relentless, and keeping up with ever changing situation in weather (the Beast from the East last March was a particular challenge), politics, and farm economics is an ongoing struggle. Hats off to Helen, Tim and their team in their dedication to sustaining and diversifying this business, against the odds at times. The book is not just about Pigs. This is only a part of Helen’s life. She is off to London and elsewhere in her official Soil Association role. You read about so many controversial ecological issues as Helen heads off to Farming Conferences, Student Union debates (To Meat or Not to Meat), meeting Defra officials and government Ministers. She even meets Michael Gove, the Environment Minister, down on the farm! This woman has influence in high places, earned through a lifetime of commitment to the quality of our Soil and sustainability of farming practices. 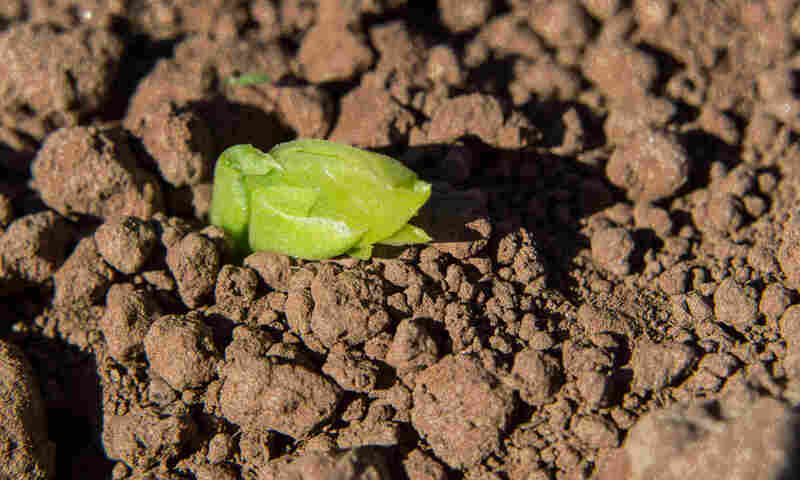 Soil, and the worms in it, is vital in storing carbon. Yet much of our soil is degraded and devoid of worms! Even if you have not read the book, do go along to what will be a fascinating and thought provoking talk. You will find that Helen demonstrates why the welfare of our farm animals – and the way we manage our countryside – is central in current discussions around food, climate change and the environment. Tickets £5 from Ledbury Library in the Master’s House, St Katherine’s. Food is something we are all interested in. But how does it get to our table? Ledbury Food Group introduces its new Book Group on Thursday 17th January at 7pm. 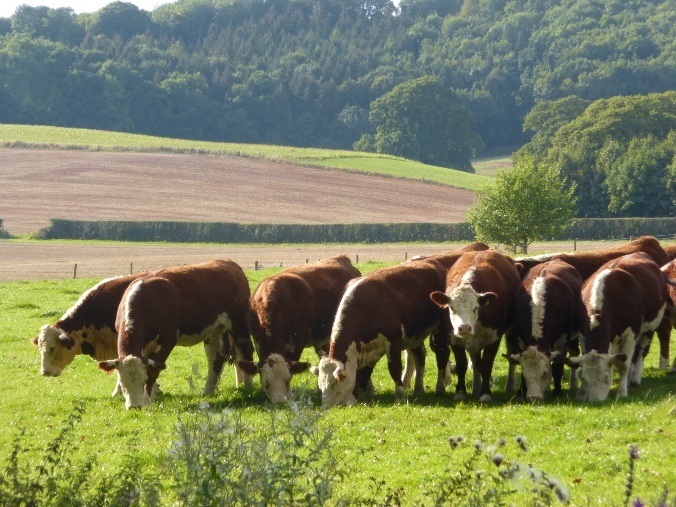 It’s an opportunity for us to “chew the cud” over some of the themes of current books relating to our food, finding out about the joys and challenges farmers face and the history of production. Books such as “The Secret Life of Cows”, forwarded by Alan Bennett, which appeared last year are full of discussion topics. The author Rosamund Young came to Ledbury in March to talk about it. Her introduction explores traditional and commercial farming and the book features hilarious anecdotes about her experiences rearing cows. 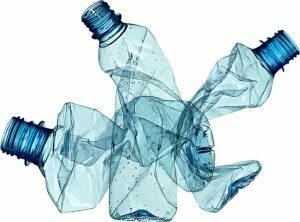 How Can We Reduce Single Use Plastic in Ledbury? Ledbury may not be on the coast, but it does have fantastic countryside which suffers from plastic waste in our parks, on the hills and country lanes. Milk Matters – What’s happened to our Milk? What are the differences between the milk we buy at the supermarket and real milk? Why do these differences exist and what are the health implications? Where do we go from here with food and farming? Rob Elliott and Sally Dean ask this question in the third of their talk/discussion series on Monday 16th November at 7pm. Don’t worry if you missed the others in this series as there will be plenty to interest in this session. Rob says, “We will discuss the options we have today regarding our future health and food security, looking also at how those options might address the problems of environmental degradation, human misery and the general ecological health of our planet. Where do we go from here with regard to food and farming? Can we continue to feed a growing population? What about the obesity crisis? Or indeed poverty and hunger? Not to be missed, tickets costing £6 can be purchased in advance at Ledbury Library, and will be available on the night. Your ticket includes light refreshments and a very local drink. This event is organised by Ledbury Library Development Association in association with Ledbury Food Group. 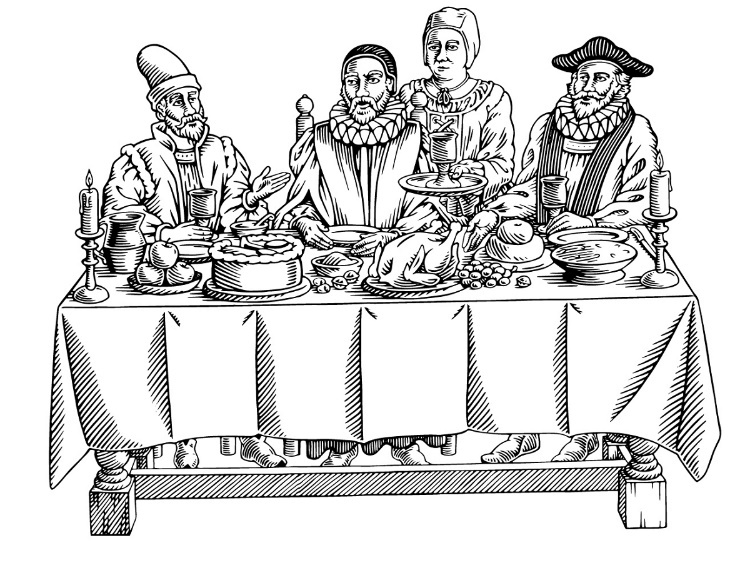 Eat, drink, be merry and entertained at a splendid meal of local food in the glorious medieval setting of Ledbury’s Master’s House. The Friends of the Master’s House invite you to join them, and the Master, on Saturday 21st November for an evening of food and entertainment starting from 7pm. A three course meal of seasonal local specialities will be provided from the pop up kitchen manned by Belinda Sparey’s team from “The Best of Taste”. Various musical and other divertissements will be provided to entertain you, and period costume is optional. Tickets are now on sale at Ledbury Library for this special event at £30 – numbers are limited and tickets must be bought in advance. Drinks will be available at the event. This event – which could become an annual occasion – is organised as part of an ongoing programme of events at the recently restored and revived Master’s House. We’ve all thought about whether food is good or bad for us, and what healthy eating is about. In three monthly talk and discussion sessions starting on Monday 21st September, local writer Rob Elliott and his partner Sally Dean invite us to explore what we mean when we use these terms, and how we might improve our diet and our lives. 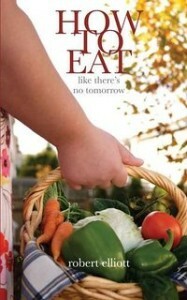 Rob Elliott is the author of “The Food Maze” and “How to eat like there’s no tomorrow”. The sessions are being run by Ledbury Library Development Group (LLDG) in association with Ledbury Food Group. 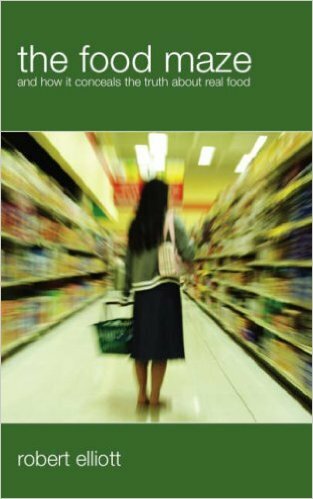 Unravelling the Food Maze – Rob and Sally review our search for honest food. You want to eat healthily but is butter good for you or bad for you? What does ‘free range’ really mean? What is a balanced diet? Is it just too confusing? Taking control of our own Health – Rob and Sally explore the connection between food, health and well-being. They also consider the links between industrial food and the major health and environment issues of the 21st century. “Being the change we want to see”: You are invited to think positively about the food you eat. Using the story of their own lives, Rob and Sally will suggest ways we can make informed changes in our lives and what we eat. The sessions take place on Monday 21st September, Monday 19th October and Monday 16th November in the Panelled Room at the Master’s House (Ledbury Library), Ledbury from 7pm to 9pm. Light refreshments featuring local products will be provided. Tickets for each session are £6 with a discount for LLDG members and Ledbury Food Group members on the night. Tickets for each session are available to purchase from Ledbury Library 6 weeks before the session. Parking (free from 6pm) is available in St Katherine’s Car Park, off Bye Street. Please contact us at ask@ledburyfoodgroup.org if you need to know more.